Good location, near the beach. The stuff was very friendly and welcoming. The room had everything needed for a pleasant stay and was cleaned daily. Easy parking on the street right in front of the hotel, great beach nearby and shops and stores nearby, great and friendly staff. Excellent value for money. Small room but has everything that you need and doesn't make you feel claustrophobic. Very friendly cleaning and reception staff. 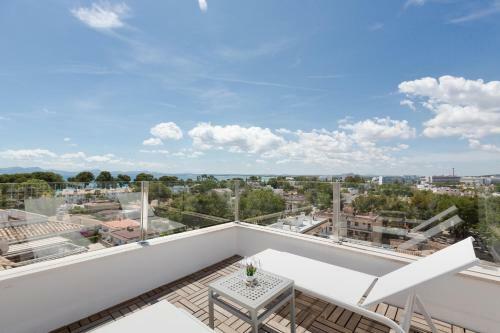 Perfect location for the beach, lots of restaurants and shops nearby (including a Lidl, if you're planning to cook for yourself) and good transport links. Would stay again. The location and kitchen anex (to cook for yourself) in the room was the best two things in this hotel. The staff was also really nice. Beds were very comfortable. Everything was perfect. Fresh decor, lovely staff. Spotless. Cheap. Next to the beach and restaurants. Will be back! Really nice place, price-quality ratio very good. Very nice room with balcony, also there was small fridge and place to prepare your meal. We were two friends sharing a twin room with kitchenette and balcony. - kitchenette was very well equipped and suited our needs perfectly - beds were comfy - room and whole building was light, airy, fresh and clean. Very refreshing. - complimentary glass of Prosecco upon check in and a call up to our room after 30mins to check if we needed anything was very thoughtful! - staff were extremely helpful (Miguel was lovely!) - WIFI in room (other reviews said it was only available in reception?) Would absolutely stay again! Lock in a great price for Apartamentos Ferrer Tamarindos – rated 8.7 by recent guests! 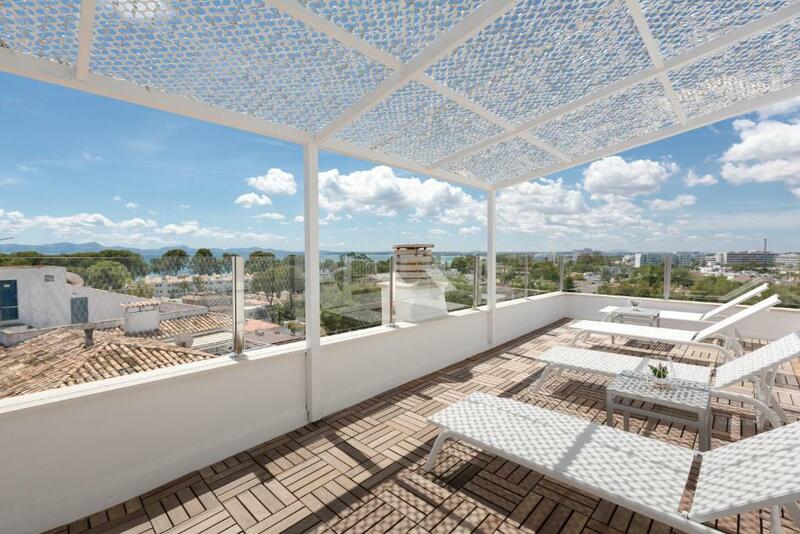 Apartamentos Ferrer Tamarindos This rating is a reflection of how the property compares to the industry standard when it comes to price, facilities and services available. It's based on a self-evaluation by the property. Use this rating to help choose your stay! One of our top picks in Port d'Alcudia.Apartamentos Ferrer Tamarindos is set in the heart of Mallorca’s Puerto de Alcúdia, 1,000 feet from the beach. 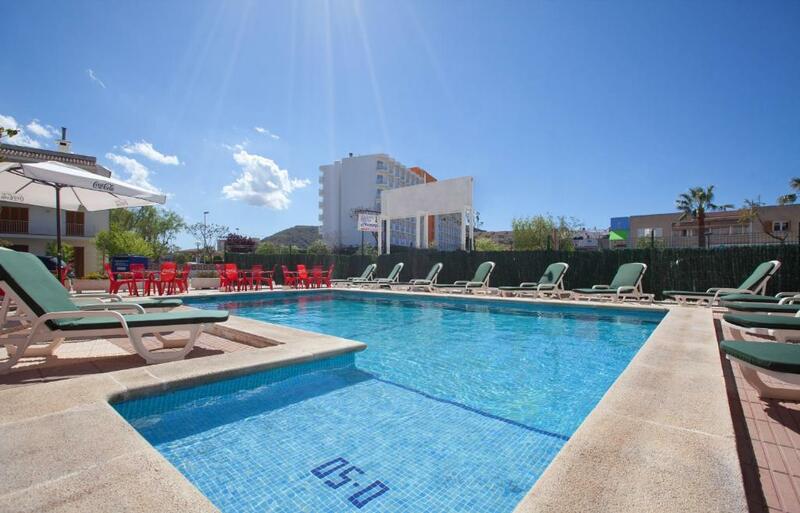 It has an outdoor pool and offers free WiFi in public areas. The studios at this property come with a balcony. They have a small seating area and a kitchen with microwave. Air conditioning and heating are included. 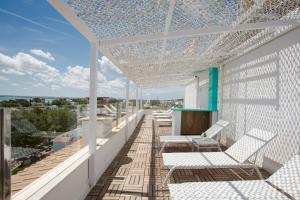 Apartamentos Ferrer Tamarindos has a terrace and a 24-hour front desk where car rental can be arranged. It is a short walk from the complex to the town center. There is a bus stop only 150 feet away. Palma de Mallorca Airport is within 31 mi. 뀐 Located in the top-rated area in Port d'Alcudia, this property has an excellent location score of 8.7! 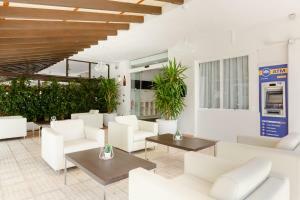 When would you like to stay at Apartamentos Ferrer Tamarindos? This studio features a balcony and a small seating area with 2 sofa beds, and a kitchenette with a microwave. Air conditioning and heating are included. This air-conditioned penthouse suite comes with an equipped kitchenette, a TV and a private balcony. This studio has a electric kettle, oven and toaster. This studio has a toaster, microwave and stovetop. House Rules Apartamentos Ferrer Tamarindos takes special requests – add in the next step! Apartamentos Ferrer Tamarindos accepts these cards and reserves the right to temporarily hold an amount prior to arrival. Please note that children can only be accommodated in the Studio (3 Adults). This is not complain. Maybe only tip how to make it even better - it was not possible to close bathroom door, it kept opening itself. Pressure/ temperature of water in the shower kept changing. If booking studio apartment I would really expect to have a kettle in the room, even after asking this could not be provided. Room facilities like microwave are extremely old and not practical. Air con wasn’t especially powerful. Luckily it wasn’t very warm during our stay otherwise it may have been uncomfortable. Room was a bit noisy. Our balcony was mainly in the shadow and not that big. In general the apartment was great but we didn't like the town too much. The beach is nearby but the town is extremely touristy. Theres cuter beaches and towns with better restaurants and more atmosphere in other parts of the island. Room is light, practical and very clean. The beds sleep great and the beach is a 3 minute walk. The room smelled terrible from time to time. We could not localize where the smell came from (maybe from air cooling). The cleaning was excellent but the chloride fluids they used were very intensive in smell. The rooms are pretty tiny. Only thing i can suggest is to replace the two single beds side by sed for a single double sized bed. When we arrived we were greeted by Soledad, a really friendly hostess that let us know that our reservation had been upgraded free of charge, we got to stay in one of the four suites at the top of the establishment that has a big balcony from where you can admire the city (or the sea, depending on which suite you get) from above while you have breakfast. The apartment was really confortable and had all that's necessary for cooking and dining, even a Nespresso machine :-D Staff where super nice, friendly and helpful. The apartments are two blocks away from a really nice beach, and you can find restaurants and stores in the vicinity. I found the breakfast was very basic. I would recommend adding fresh fruits and joghurt to the selection, this would have made a difference. The pool on the picture is not what it seems(is by a busy street) so no one really uses it. Clean and comfortable rooms. Friendly staff and room cleaning every day. We were in the end room which meant we got a cheeky glimpse of the sea from our balcony which was a bonus. Also got invited to some drinks on the rooftop on the Friday night which was a lovely touch. Didn’t have breakfast as it seemed quite pricey but had the little kitchen and amenities to prepare food. Didn’t cook too much as it’s a studio appartment but was perfect for cold food prep. Very small apt. Pool tiny & by side of road. Expensive for what we got. No towel rail in bathroom. No comfy seats just plastic. Cleaner didn't do a lot.